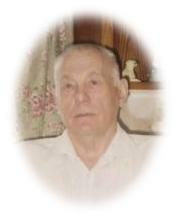 George Henry Nicholls passed away on May 9, 2012 at the age of 82. George came to Canada in 1951 and was a longtime Moose Jaw resident. Predeceased by his loving wife, Anne, and by his father Arthur, mother Ethel, sisters Flo and Tots, brothers Jim, Stan and Vic. George is survived by his daughter Linda (John), son Greg, and sister Joyce (her son Mike) of England, and brother-in-law Tom Litowski (Ruth). Nieces and nephews Rhonda (Ken) Johnson, Bev (Kyle) Walker, Murray (Patty) MacDonald and Doug MacDonald and family. George was an avid sports fan, loved his garden, and was a longtime member of Plumbers and Pipe Fitters Union Local 179. No funeral service will be held as per George�s wishes. Cremation has taken place and interment will be at Rosedale Cemetery. George will be laid to rest next to his wife Anne. In lieu of flowers, please donate in George�s memory to your favorite charity. Arrangements are entrusted to Parkview Funeral Chapel.